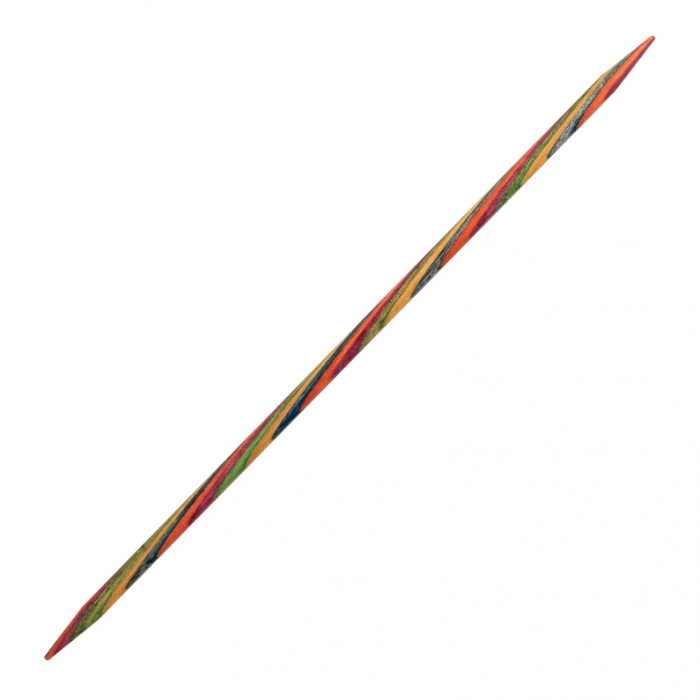 Symfonie DPNs 15 cm/ 6"
Beautiful and strong double pointed needles from KnitPro's multicolored Symfonie series. The needles are developed by 'knitters for knitters', and is one of the leading brands used by knitters all over the globe. The needles are easy to use, comfortable to handle and beautiful to look at. They are made of birch wood, that is laminated and stained specifically to give them their beautiful surface. 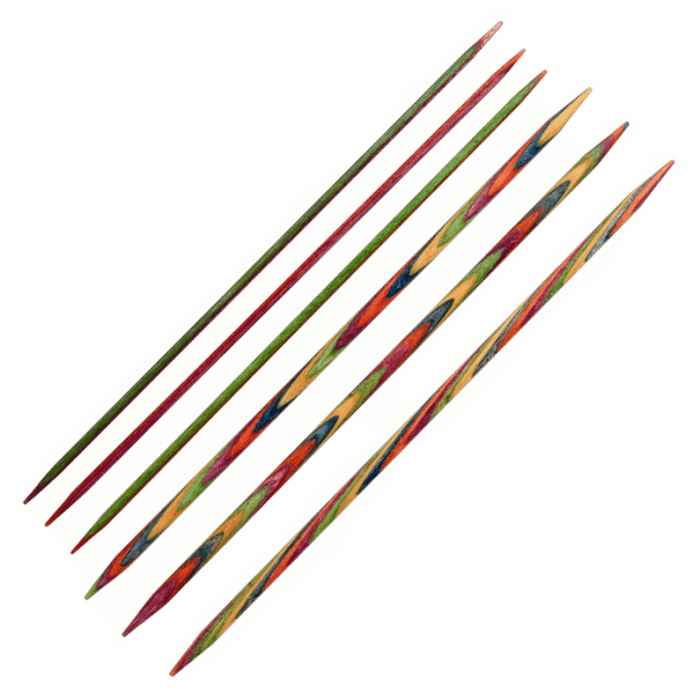 The needles are available in lengths 10cm/ 4", 15cm/ 6" and 20 cm/ 8" and in sizes from 2-8 mm/ US 0-11. All three lengths are shorter than normal stocking needles, making it more comfortable to knit the very small circumferences. The delicious, processed needles are nice and comfortable to have in your hands, so you know you can knit for many hours without getting sore hands.